ORLANDO, Fla., Sept. 21, 2017 /Christian Newswire/ -- Holy Land Experience, the world-famous faith-and-family vacation destination located in Orlando, will honor Florida First Responders Saturday, September 30th, with complimentary admission to the park in appreciation for their sacrificial service to communities, neighborhoods, families, and individuals in the aftermath of Hurricane Irma. "We are so grateful to our state's many law enforcement, emergency, and utility personnel for their selfless response to the devastation and heartache so many have suffered because of Hurricane Irma," said Mike Everett, manager of Holy Land Experience. "As a small token of our appreciation, we're inviting these heroes and their families for a complimentary day to enjoy the productions, music, life-changing exhibits, and inspirational atmosphere here at Holy Land Experience." Qualified First Responders — which include current and former law enforcement, firefighters, EMT, city, county, and utility personnel — along with up to four additional guests, will receive complimentary admission to Holy Land Experience on Saturday, September 30th, during the park's regular operating hours between 10 a.m. and 6 p.m. (Eastern). Upon arrival, First Responder guests are asked to proceed to the Guest Services lobby, and present a valid employment ID for admission to the park. For more information call 407-872-2272. Said Mr. Everett: "We're expecting a great turnout for this special appreciation day, as we thank and bless our state's First Responders for their above-and-beyond service." Located in the heart of America's most popular vacation spot, Orlando, Florida's Holy Land Experience offers an unforgettable adventure that immerses visitors in the sights, sounds, historical time frames — and impacting truths — of the Bible. With its compelling historical exhibits, realistic re-creations of ancient Israel, and award-winning theatrical productions, Holy Land Experience has become a must-see attraction for individuals, families, and groups from across America and around the world. 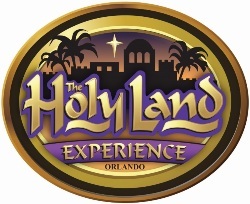 For more on Holy Land Experience, visit us online at www.holylandexperience.com.